Octapharma – LA Kelley Communications, Inc.
Maybe you’ve heard our amazing news about our amazing Chris Bombardier! 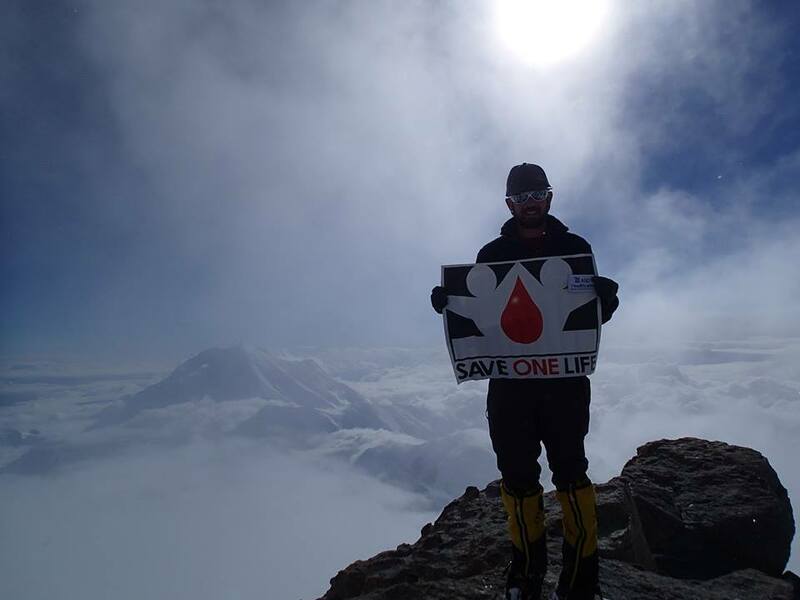 The FIRST person with hemophilia to summit Mt. Everest, Mt. 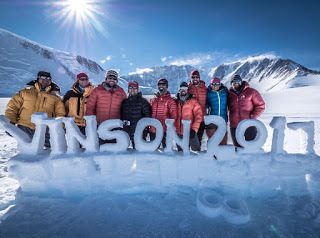 Vinson… and well, all Seven Summits! 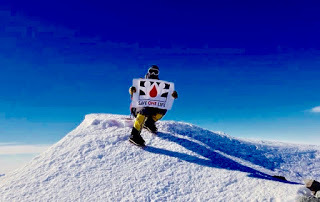 Chris sits on the board of Save One Life, the nonprofit that I founded, and he shares my love of mountains and my passion for helping people with hemophilia suffering without treatment in developing countries. Together, we are trying to improve their lives. Our deepest thanks go to Chris, and also to Octapharma, because this manufacturer of human protein products funded these last two mountain climbs, which are expensive and out of reach of most people. Octapharma helped make this dream come true. It was a true team effort! I promised them I’d post this press release. Please read and show your appreciation to them as well! 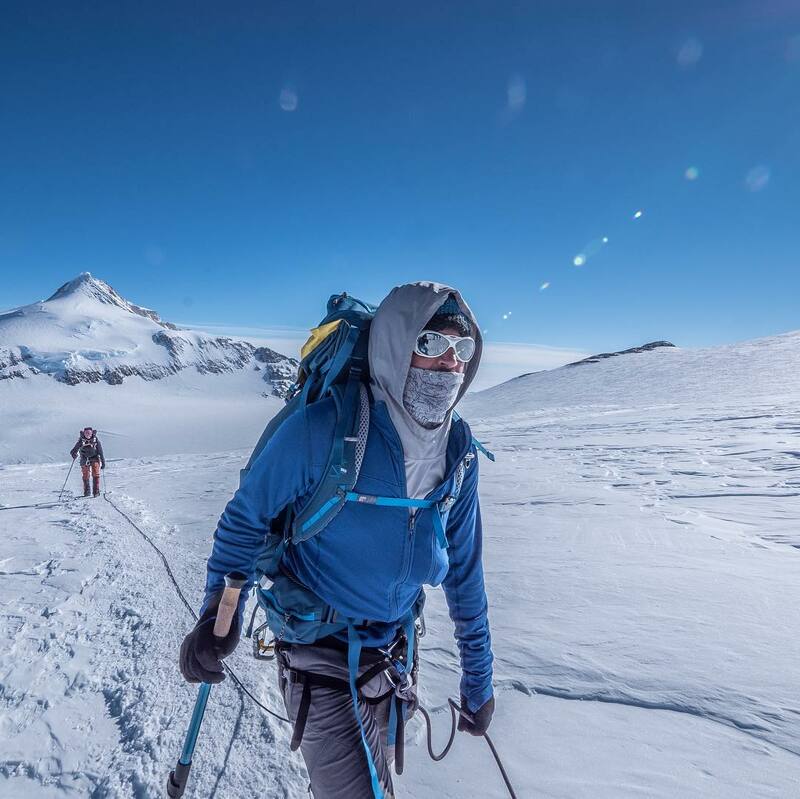 HOBOKEN, N.J. (January 25, 2018) – Mountain climber Chris Bombardier of Denver, Colorado on January 6th became the first hemophiliac to climb the Seven Summits of the world with his successful climb of Mount Vinson in Antarctica, a journey made possible with a grant from Octapharma USA. 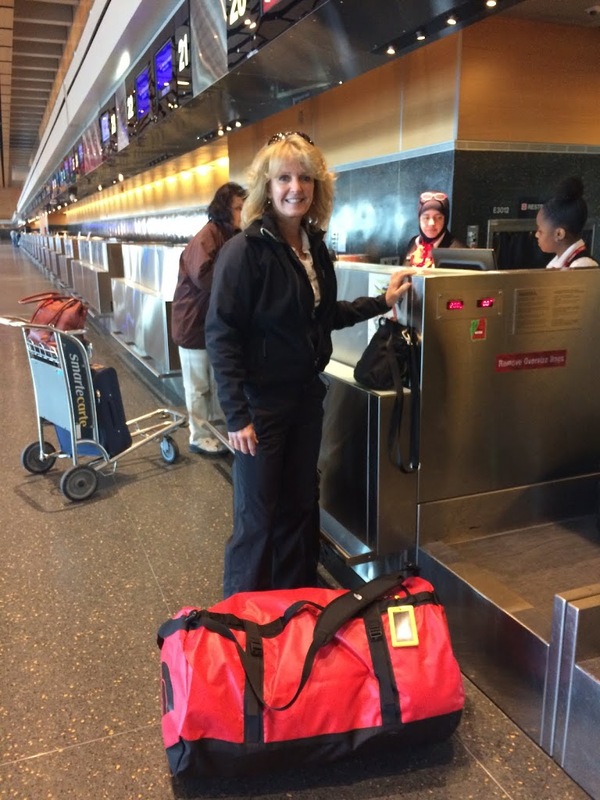 The Seven Summits, the highest peak on each continent, are a feat just over 400 people can claim. 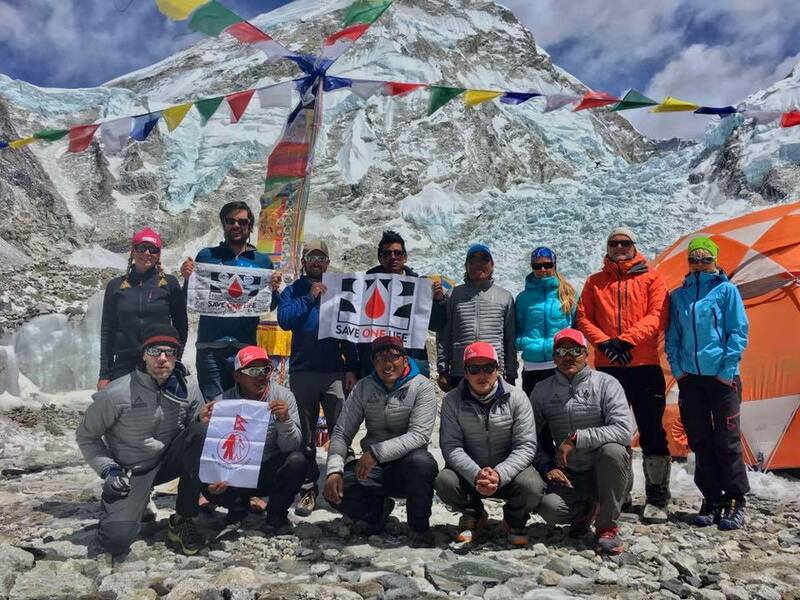 Octapharma USA also sponsored Bombardier’s climb in 2017 up Mount Everest, the historic mountain in Nepal. 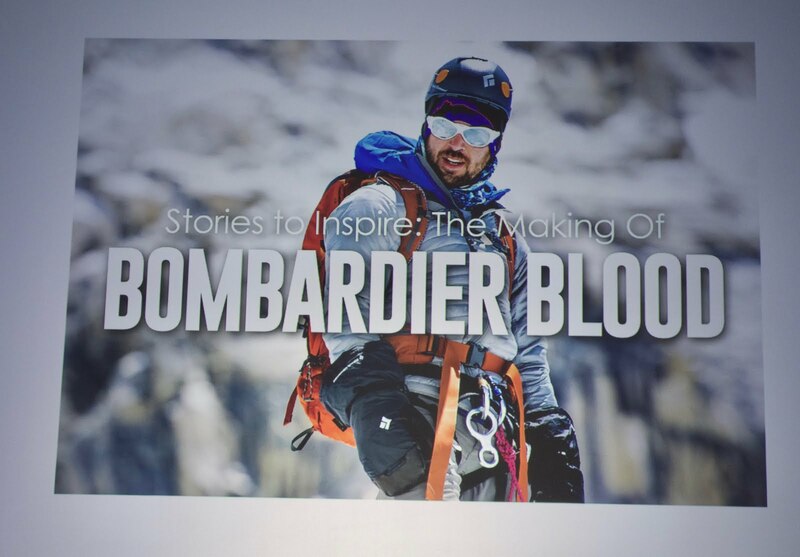 Octapharma’s partnership with the mountain climber also includes sponsorship of Bombardier Blood, a documentary scheduled for release later this year that will tell his inspirational story. Octapharma USA President Flemming Nielsen said that Bombardier’s journey has inspired thousands of people around the world. Editing for Bombardier Blood will wrap in the spring, according to Believe Limited CEO Patrick James Lynch, the documentary’s director and a filmmaker with severe Hemophilia. 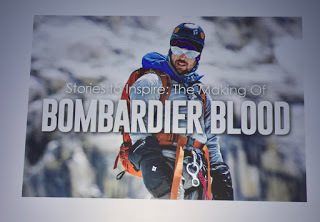 Bombardier Blood highlights the disparity in health care in Nepal using Bombardier’s recent Everest summit as a backdrop. Please visit www.bombardierblood.com for more information and a preview of the documentary. Mountain climber Chris Bombardier of Denver, Colorado on January 6th became the first hemophiliac to climb the Seven Summits of the world with his successful climb of Mount Vinson in Antarctica, a journey made possible with a grant from Octapharma USA. 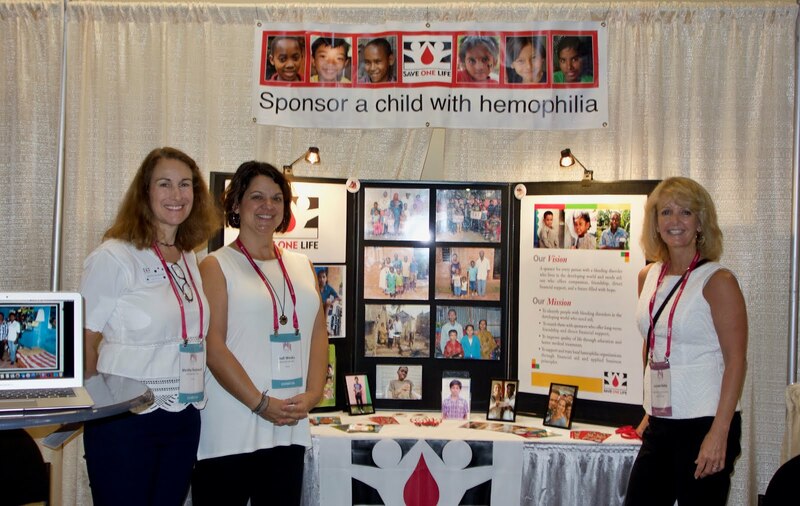 “Exploring the Next Frontier” was the theme for the 69th annual National Hemophilia Foundation meeting in the dazzling city of Chicago. 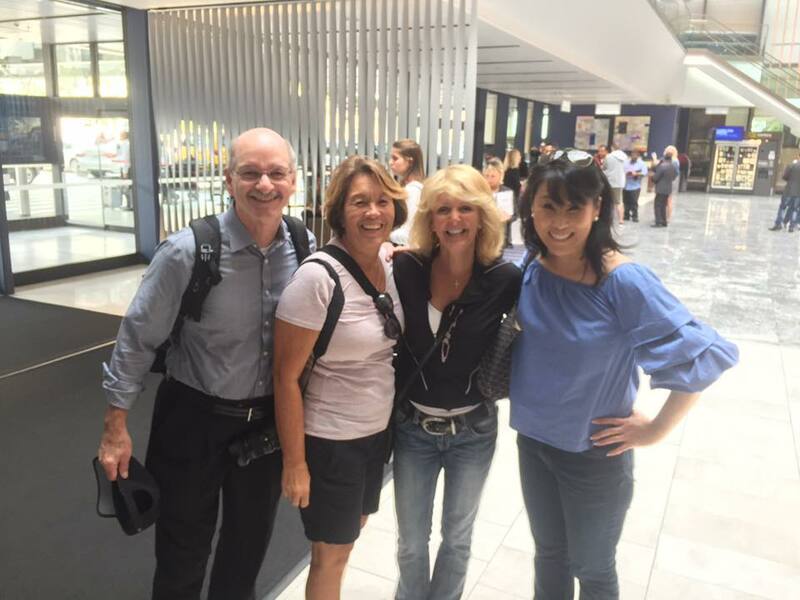 A record-breaking 2,987 community members flocked to the Windy City (do you know why it’s called that? )—patients, treatment center staff, industry representatives and hemophilia organization advocates—to share stories, to educate, to network, and to learn. 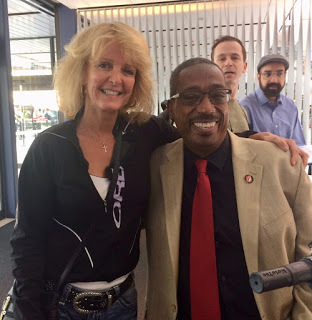 For me, it was my 25th annual meeting, and more like a huge family reunion. 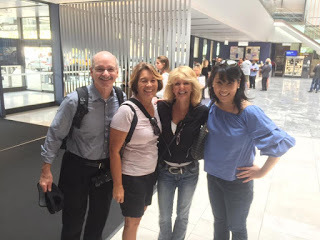 With so many friends from past meetings and local chapter meetings and correspondence, on top of all my new friends on Facebook, it was almost impossible to go from point A to point B without bumping into someone I knew! could contract HIV just from a handshake. It was a beautiful video, and Jeanne concluded it with a heartfelt, tearful speech about her love for our community. Val asked for donations, to raise $50,000 for the Memorial, and by the close of the conference, $41,000 had been raised! downstairs, where consumers could play games, speak with reps, and pick up literature on products and services. 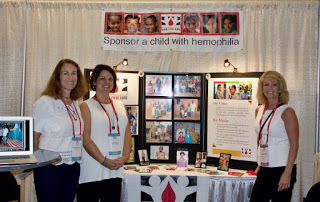 Our own Save One Life had a booth that actively received inquiries on how to sponsor a child with a bleeding disorder in a developing country. 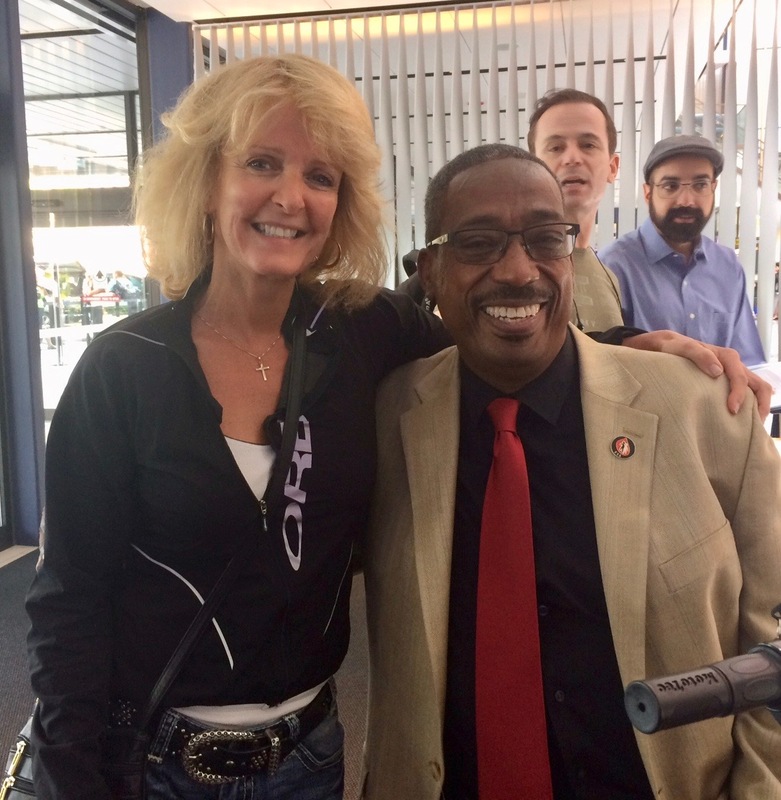 The highlight of my visit was the Octapharma symposium Friday morning, showcasing the documentary trailer for “Bombardier Blood,” directed by Patrick James Lynch, who has hemophilia A. Patrick shared the incredible story of the making of the documentary—a project of which I was a part! I traveled to Nepal (visit #4) to introduce Patrick and his team to the Nepalese Hemophilia Society, and to watch as the team filmed Chris Bombardier (factor IX, from Denver) visit the treatment center, travel to patients’ homes, and attend a fun cultural evening before heading out to attempt to summit Mt. Everest. I also accompanied Chris, his wife Jess and photographer Rob Bradford, all the way to Everest Base Camp. 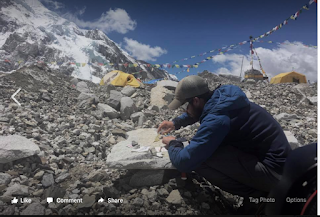 Although I was with them the week in Kathmandu, and then endured the rugged 9-day trek to base camp at 17,500 feet, and then shivered three days at base camp, with 1° temps at night, nothing, nothing stirred me as much as watching the documentary. The full impact of Chris’s sacrifices, the months of training, overcoming fears, and the pressure on this young man to succeed, hit me full force as we saw in six minutes scenes from Denver, from Nepal, patients, base camp… and Chris on the summit, talking through his oxygen mask, holding a banner on which was written the names of Nepalese patients with hemophilia. He did it for them; he did it for us. 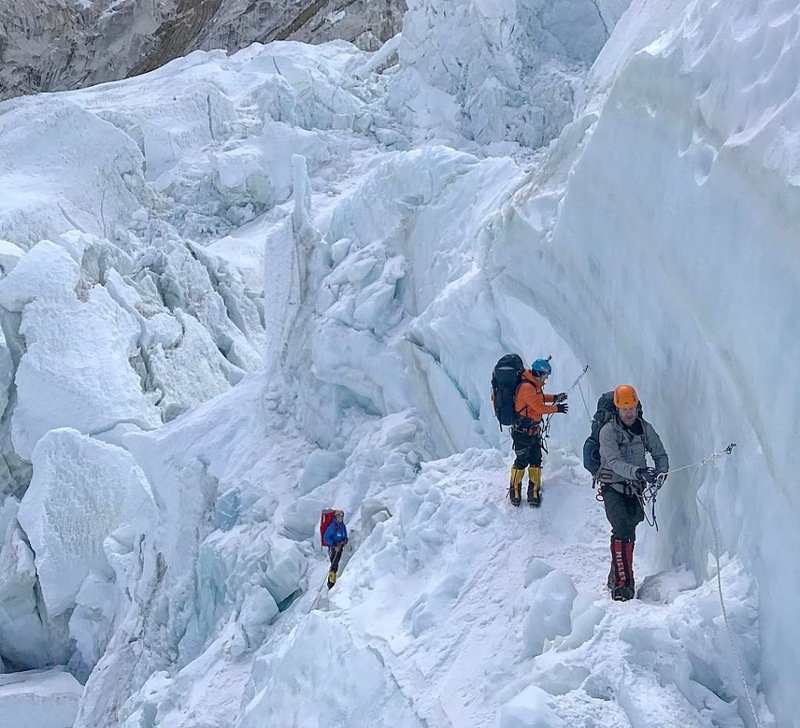 Over 360 people had permits to climbing Everest that season; 60 summited, including Chris; 10 died, including a world class alpinist, Ueli Steck. 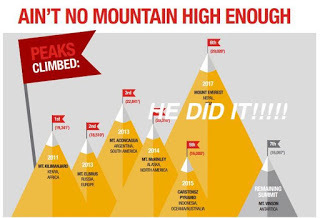 Chris risked his life to achieve something no one in history had done: being the first with hemophilia to summit Mt. Everest. Listening to Patrick, and seeing the beautiful trailer, we were all wiping away tears. 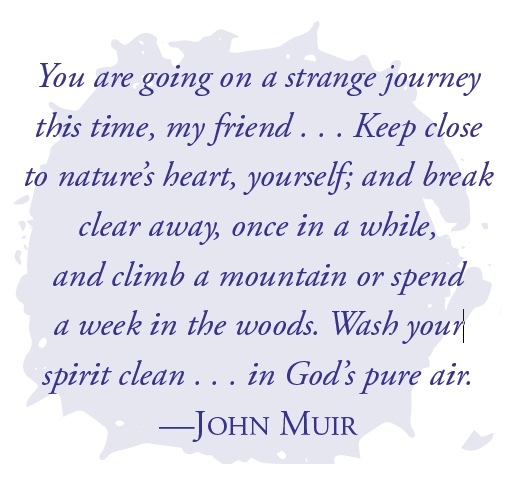 The human heart has so much potential for courage, for sacrifice for our fellow humans, for overcoming fear and pain. Chris embodied all this. I worried for the next speaker: how do you top that? But you know, Seth Rojhani, a young man from Denver, nailed it. 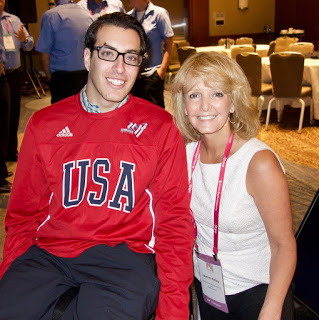 His story was incredibly motivating and uplifting: being born with hemophilia, then losing your ability to walk after having a spinal bleed, and the surgeons severing your spine accidentally. But nothing has stopped Seth. He loved sports, and with the full support from his wonderful parents (who I am proud to say I know) he participated in many sports! He stayed on a consistent prophy schedule; He rested until all injuries healed; He visited his HTC often. Seth received numerous athletic awards, including the Bronze medal for his team in the Maccabiah Games in Israel this past July. And he promptly pulled out the gleaming medal for the audience to see! 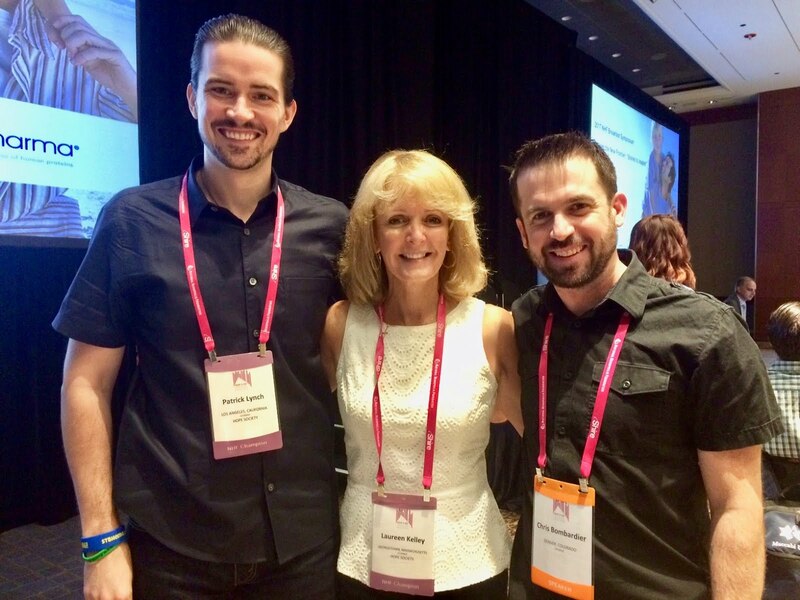 Seth said, “Hemophilia is a speed bump, not an obstacle.” He also shared that his father, Ira, told him, “Think positive and good things will happen.” His belief in this way of thinking has never let him down. challenge is overcoming the loss of his brother. Chris’s? Not Mt. Everest but needles! Chris has a needle phobia! And Seth? Being told no so much in his life. The speakers deservedly received a standing ovation for their incredible stories and work. The three days were filled with symposia and sessions. 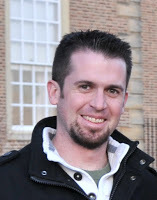 For first time, the LGBT community had their own session, led by our own (New England-based) Justin Levesque. And I am proud to say that PEN was the first publication in our community to publish an article about the community needs, also written by Justin. 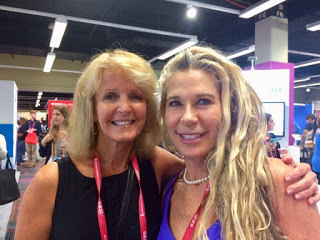 Women with bleeding disorder and those with VWD were also given lots of meeting and air time. You can see a big shift in mindsets this year about inclusion in our community. Those on the fringe are now being heard. There were also sessions for siblings and one for men only; sessions about pain management, addiction, and gene therapy. 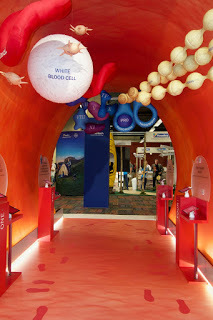 The only bad thing about NHF’s Annual meeting is that there is so much to see, hear and do! I couldn’t take in everything unfortunately. 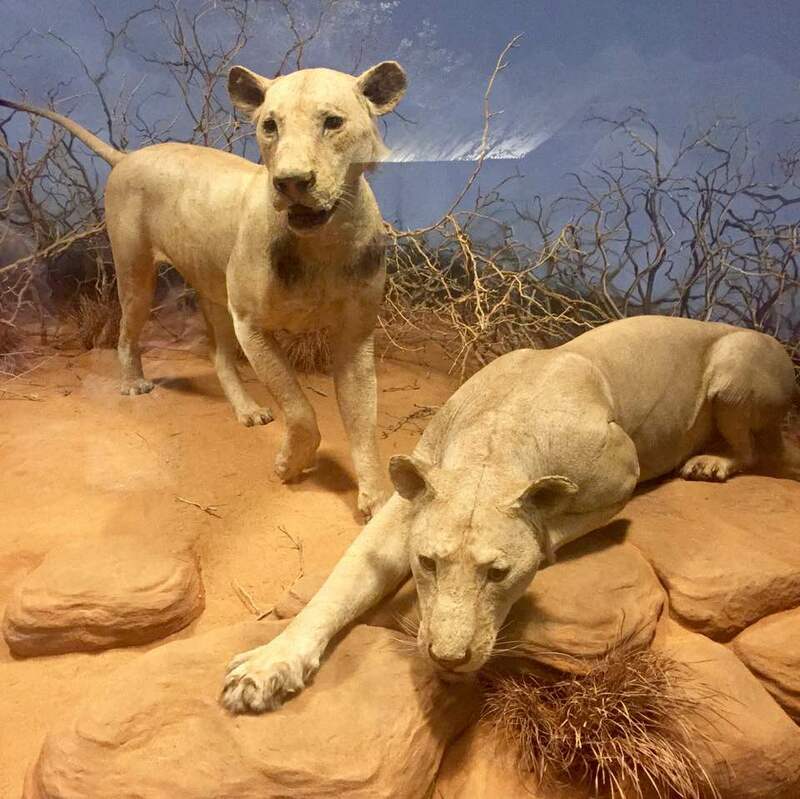 The event ended with a stunning visit to the world famous Field Museum, sponsored by Bioverativ, where families could see the wonders of nature and natural history. 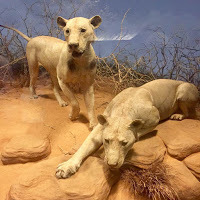 My favorite display are “The Ghost and the Darkness,” two man-eating lions from Tsavo, Kenya, which were killed in 1898 after they had killed many workers on the railroad. A Hollywood movie starring Val Kilmer and Michael Douglas tells a somewhat fictional version of the story. It’s a good story but better to see them for real at the museum. I’m sitting at Gate 11, Terminal E, waiting for my flight to Nepal, and just remembered I didn’t lock either of my checked bags. I never forget something like that. I’m a bit distracted: my head’s on the upcoming climb to Everest base camp. Everything else is packed: climbing gear, boots, trekking poles, layers and layers of clothing (base layer, mid-layers, outer shells), medicine to cover all typical ailments including altitude sickness and bronchial infections, expedition sunglasses, hats, bandanas, gloves and liners… somehow it all fit into the North Face Base Camp bag with room to spare. I filled that room with donated stuffed animals for the kids in Nepal. hopefully it will all be there when I arrive in Kathmandu! How are the kids in Nepal? We have about 100 of them registered with Save One Life and track their progress through our program. Nepal is one of the world’s poorest countries, and yet it has a stellar Nepal Hemophilia Society run by people with hemophilia. For the beneficiaries of Save One Life, we check to see if they have enough income, are in school, and whether they get treatment for their hemophilia. We have many prominent sponsors in our community who fund these families. The country suffered a devastating earthquake on April 25, 2015; several members of the hemophilia community died. The hospital was damaged; homes left in piles of bricks. I toured the earthquake damage when I was there in September 2015, and realized in the global hemophilia community there is no emergency response protocol or team. It doesn’t happen often, but in earthquake prone areas like Nepal, it would be a good program to establish. See my trip to Nepal 6 months after the earthquake here. I’m looking forward this coming week to meeting our kids again, seeing what the needs are, how they have managed. 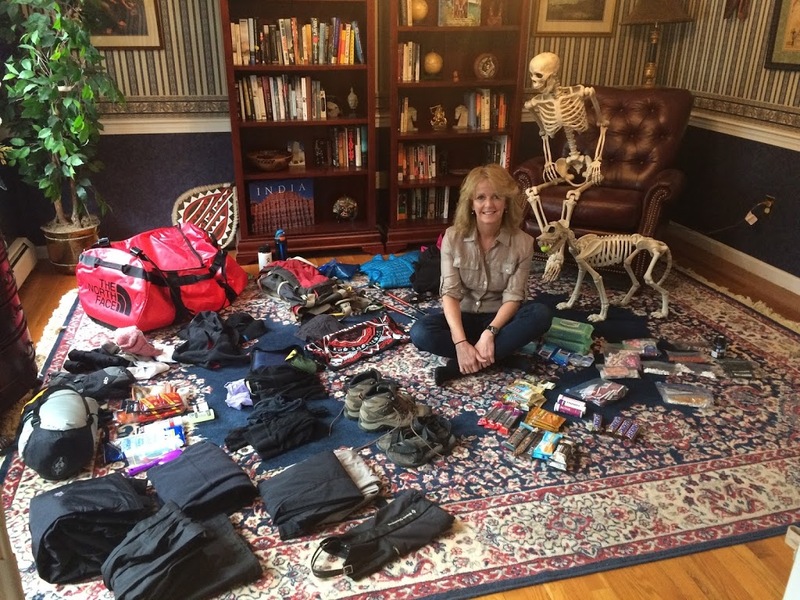 We raised funds shortly after the earthquake with the massive help of the Mary Gooley Center in Rochester, New York, to help with housing and necessities. Patrick James Lynch and his team at Believe Ltd. is coming on this trip as well to make a documentary about life in developing countries, through the eyes of Chris Bombardier, a young man with hemophilia B from Denver, Colorado, who will be the first person with hemophilia to attempt to summit Everest! I’ll be with Chris this week as we tour homes and the hospital, and visit the earthquake areas. Then Chris, his wife Jess, photographer Rob Bradford and I all head out for Everest base camp on April 2 with renowned guide Ryan Waters of Mountain Professionals. 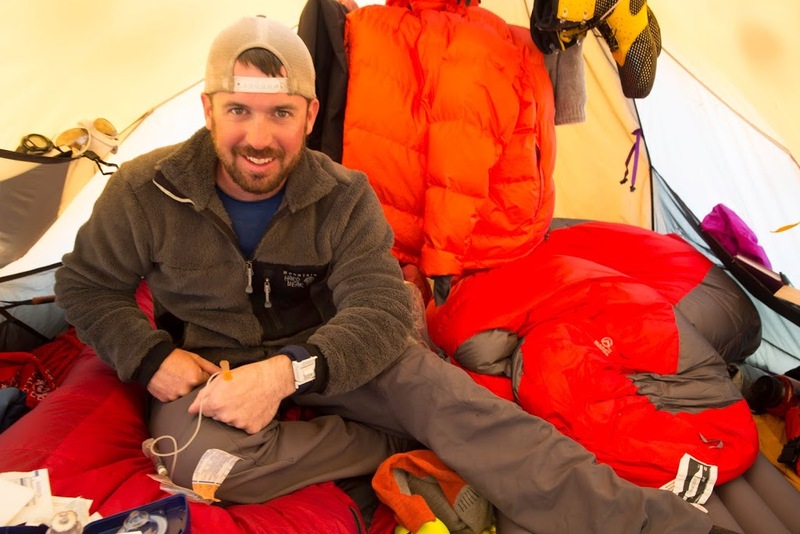 Ryan has accompanied Chris on four of his Seven Summits. Everest will be Chris’s sixth summit… and that would leave Mt. Vinson in Antarctica. Chris infusing on a summit! Chris would have summited Vinson by now, but he was denied access! Why? Because he has hemophilia–a “disability.” Huh. Chris has a few things to show the guys in Antarctica. Chris also has a few things to show his peers in developing countries. The mountain is a metaphor for overcoming any challenge. You can’t get anywhere in life unless you first set your sights on a summit; get the right equipment; train, train, train–success is hard work; map your route; get a guide; then go. Waiting to see this on Everest! Go Chris! We wish you success and safety, and everyone thanks you for your heroic efforts on behalf of people with hemophilia everywhere! Sign up to get notifications about Chris’s historic here! 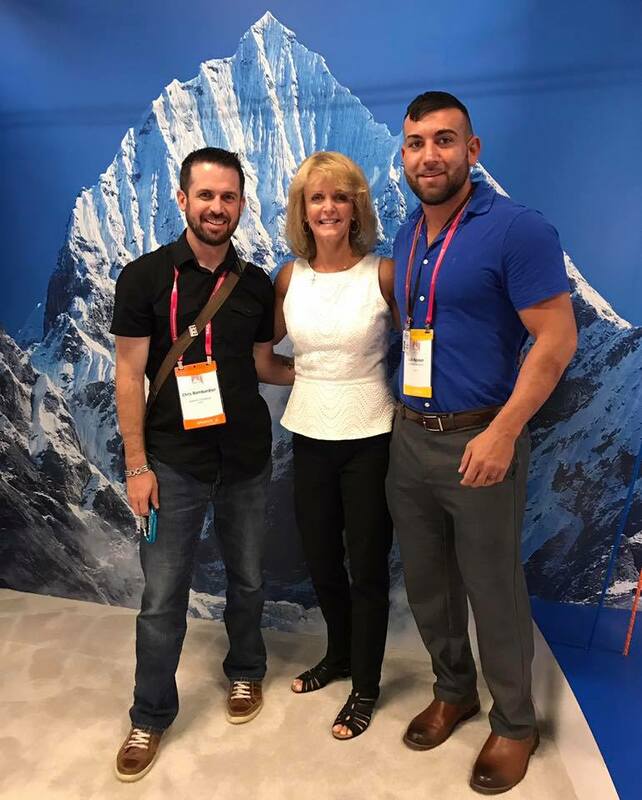 From the bottom of our hearts and hiking boots we wish to thank Octapharma for completely funding Chris’s climb, and Believe Ltd.’s documentary. While there is no amount of money that can compensate Chris for his time and personal risks, none of this adventure and effort would be possible without Octapharma’s generous support and more importantly, its belief in Chris and Save One Life. Chairman Wolfgang Marguerre has been one of Save One Life’s biggest supporter and sponsor of children with hemophilia in developing countries. He truly believes in our mission. Thank you Mr. Marguerre and all your colleagues, including Flemming Neilsen and Carl Trenz, for your help and support! 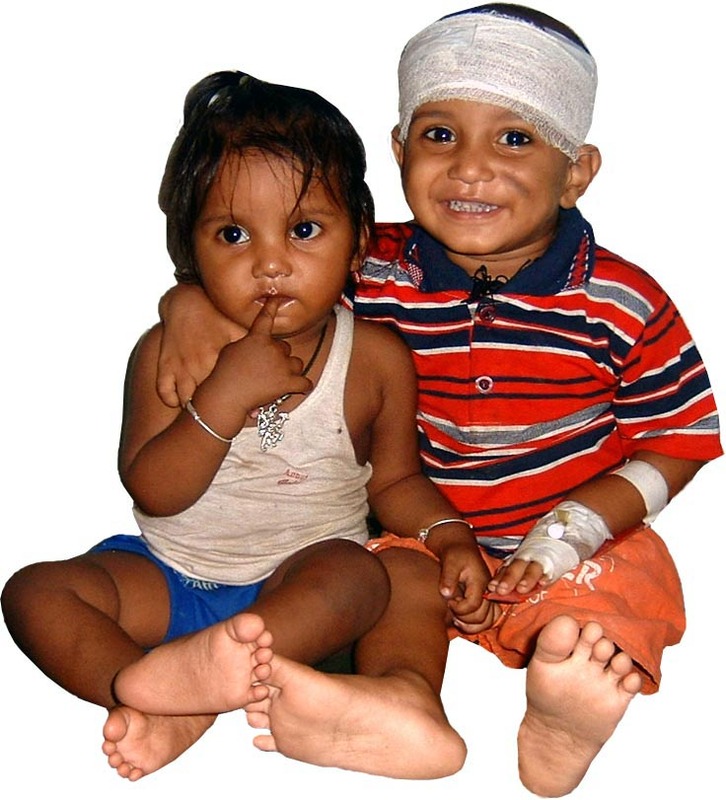 If you would like to sponsor a chid in need, visit www.SaveOneLife.net to learn more. Together we are improving lives with hemophilia…one at a time. I’m thinking “game” this weekend because the Patriots are in the Super Bowl, again, and I will need to watch it like the rest of Boston. I only watched my first football game two years ago when, surprise surprise, the Patriots were in the Super Bowl. Every sports fan knows the Patriots, I am told. It’s easy to cheer for your home teams when the names (Red Sox, Patriots, Bruins, Celtics) endure for decades. It’s harder when it’s the drug companies that make your factor concentrate. There’s a lot of game changing going on lately. The news was announced just three days ago: Biogen, maker of Eloctate and Alprolix, has spun off its hemophilia division, which has now become an entirely separate and new company called Bioverativ. Biogen’s two revolutionary products, the first ones with a longer half-life, were game changers. Now there are a few more choices for longer half-life products, but these were the first and were rolled out with much fanfare. Then boom! Three years later, Biogen doesn’t want them anymore. This is just a reminder to us patients that this is a marketplace, and we are consumers. And companies need to make business decisions—hence the “game.” As consumers, it’s up to us to understand how the game is played, and who are the players. 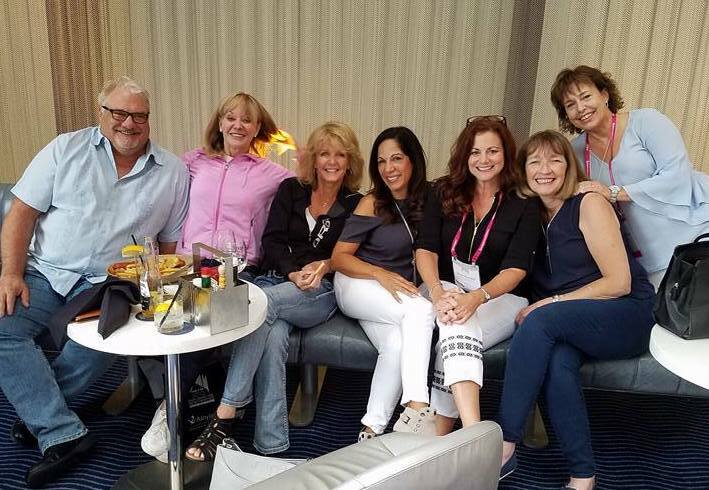 The names have been changing, more rapidly than I can keep up with in the specialty pharmacy arena, and those are truly game changers. In the factor concentrate manufacturing arena, we had two name changes just in the last few months: Biogen to Bioverativ, and Baxalta to Shire. But this has been happening for years in our community, so here’s a review. It’s worth knowing the players—of which YOU, the consumer, are the most important! Remember Alpha? Those of you who use Alphanate or Alphanine may wonder why these drugs are called that when sold by the Spanish company Grifols. Simple: Grifols bought Alpha Therapeutics hemophilia therapies years ago and simply kept the drugs’ names the same. (It’s hard to change a drug’s name.) In 2011, Grifols also bought Talecris, making it the third-largest global manufacturer of plasma-derived therapies. Oh, and Talecris? It was a spin-off from Bayer, which didn’t want to keep plasma-therapies anymore. Bayer’s plasma-product Koate-DVI went to Talecris, and Bayer kept Kogenate FS. If you look at the Koate-DVI packaging, you’ll still see the Bayer primary color line around the box! Baxter Healthcare produced factor concentrates like Recombinate, Advate, Hemofil M and FEIBA. It spun off its hemophilia division, which became an independent company called Baxalta. That didn’t last long. Shire, an Irish pharmaceutical company, liked what it saw and scooped it up. All the former Baxter/Baxalta products now belong to Shire. The biggest name changer is CSL Behring. I knew it in 1987 as Armour Pharmaceutical. Then in 1996, Armour and Behringwerke (a Geman company) formed a joint venture known as Centeon. Things happen fast: in 1999, Centeon became Aventis Behring. Why? Armour’s parent companies (Rhone-Polenc Rorer and Hoechst) merged to become Aventis. Meanwhile, CSL (an Australian plasma therapies manufacturer) acquired ZLB Blood Transfusion Services. In 2004, CSL acquired Aventis Behring, to form ZLB Behring, later called CSL Behring. Genetics Institute: anyone remember that? They developed BeneFIX and ReFacto (no longer on the market). It evolved into Wyeth, and then was bought by pharma giant Pfizer Inc.
Bayer is one that seems to have stayed the same, but it’s had name changes too. Bayer bought Cutter Labs in 1978 and Miles Labs in 1979. In 1995, they all became Bayer. I think Novo Nordisk (Denmark) has stayed the same… so far! And some companies dropped out altogether, like the American Red Cross. And new ones entered, like Octapharma (Switzerland) and Kedrion (Italy), tapped to distribute Koate DVI for Grifols. And Aptevo Therapeutics… oh, which was owned by Cangene (Canada) first, then Cangene was bought by Emergent Biosolutions in 2014! And they all originated from Inspirational Biopharmaceuticals, which in 2013 sold all its product rights to them, and dropped out of the game. More passes than Tom Brady! Whew! It’s amazing tracking the history of just the name changes: but we also need to know products. We are tracking who makes what on our website Hemophilia Factor Chart by Brand, available as a download. We are updating it all the time… a necessity to keep track of this ever-changing game, and business.